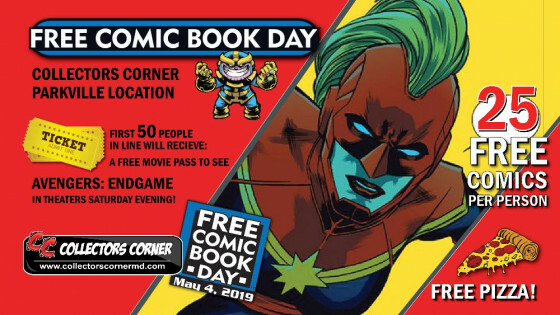 Free Comic Book Day at CC Parkville HQ May 4th 2019 (9AM - 9PM) HQ RAIN or SHINE! (9AM - 9PM) HQ RAIN or SHINE! 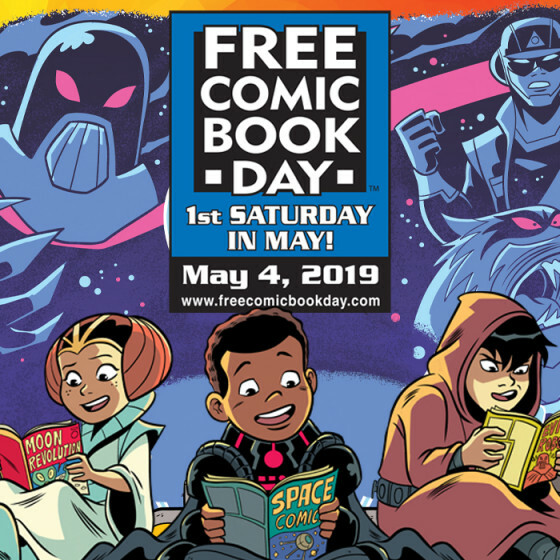 Celebrate Maryland's Biggest and Best Free Comic Book Day, with 25 Free Comics Per Person, Free Food, Free Family Fun All Day! 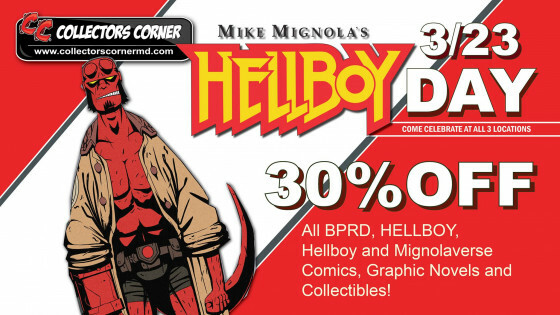 Hellboy DAY at CC Stores - 3/23/19 Free Hellboy Comic & Bookmark. Detective Comics #1000 Midnight Release Event! 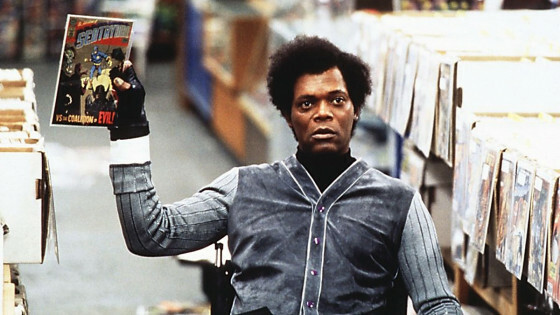 3/27 at CC Bel Air & CC Parkville Celebrate with us! 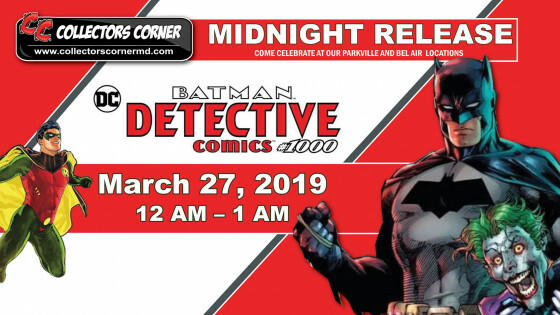 Detective Comics #1000 Midnight Release Event!